Nelson Mandela was born in South Africa. Mandela’s father, Gadla Henry Mphakanyiswa, was the chief of Mvezo, the position confirmed by paramount chief of the Thembuland, David Dalindyebo. One of Nelson Mandela’s ancestors was a chief in the 18th century. The line had passed down to Nelson Mandela through lesser “Houses,” rather than the line of potential succession. Mandela’s father died when he was ten years old. The name Nelson wasn’t given to him until his initial days at school. His original name was Rolihlahla . Nelson Mandela attended Wesleyan mission school that was situated near the palace of Regent. From there, Mandela moved to Clarkebury Boarding Institute, acquiring his Junior Certificate in only two years instead of the usual three. Mandela was 19 years old when he enrolled in Wesleyan College at Fort Beaufort. There he became interested in running and boxing. He then moved to the Fort Hare University to earn a Bachelor of Arts degree. It was at the Fort Hare University that Mandela met Oliver Tambo, who became his friend. At the end of his first year in Fort Hare University, Mandela got involved in the boycott of Students’ Representative Council as the protest against the campus’ policies. The protest prompted the authorities to expel him. He then moved to Johannesburg where he completed his degree. He then started pursuing a degree in law at Wits University. Nelson Mandela joined the African National Congress (ANC) in 1942 to oppose white minority government and its policy of racial segregation, known as apartheid. Two years later, he founded the African National Congress Youth League (ANCYL) along with Oliver Tambo, Walter Sisulu, and other young Turks of that time. Mandela was instrumental in pushing the Africa National Congress into more direct action. Mandela was popular as he was among the leaders of the 1952 Defiance Campaign and the 1955 Congress of the People. By the late 1950’s South Africa’s government had become repressive making it difficult for the ANC to operate. Mandela had to resign from the ANC and work underground. In the year 1961, Nelson Mandela became a commander of ANC’s armed wing. He began a sabotage campaign against the white government. He also developed plans for guerrilla warfare in case his sabotage plans failed. But in the year 1962, Mandela was arrested and tried for inciting people to protest. Other ANC leaders were also arrested and tried. The ANC leaders, including Mandela were found guilty and were sentenced to life imprisonment. Mandela was sent to Robben Island prison. Even in prison, Mandela’s sabotage campaign did not stop. He managed to send his statement to the ANC, who published it in 1980. The statement was to motivate South Africans to continue opposing racial segregation policy. In 1985, the South African government offered to release him if he stopped armed struggle. Nonetheless, Mandela refused and remained in prison until 1990. Under international pressure, South African President Frederik Willem de Klerk lifted the ban on the African National Congress and released Mandela in the year 1990. 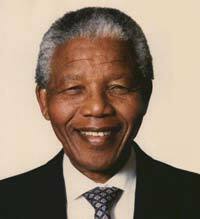 Nelson Mandela utilized his stature to help eradicate racial segregation and from the new multi-racial democracy. He was elected South Africa’s president in 1994. He served until 1999 when his deputy, Thabo Mbeki succeeded him.